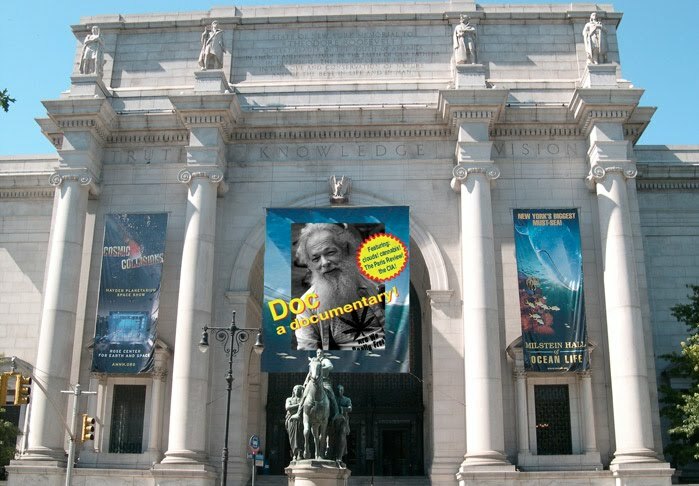 Thanks to the Margaret Mead Film Festival, we had the first real public screening of Doc on November 8th, 2006. The huge and beautiful IMAX theater was near-packed in spite of rain--and a great time was had by all. Many old friends turned up and out. We were honored with appearances by Russ Hemenway, David Amram, and Tom Calagna. Pictures & clips coming!